Continuous inspections of incoming/outgoing goods are integrated into our inventory management system. 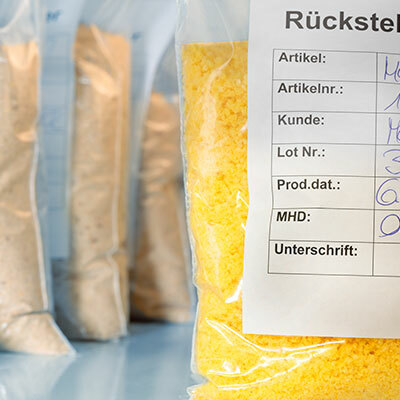 Assigning lot numbers and drawing off production samples ensures reliable traceability in accordance with statutory requirements. We also provide our customers with clear and comprehensive documentation of the entire production process from start to finish.